Our heartfelt thanks to all of you who responded to our call for messages to your state Assembly representatives to ask for their support of Jeff Dinowitz’s bill that would have brought us a significant step closer to reverse mortgage availability for seniors in housing cooperatives. The legislative session ended without passage of this legislation, in part because the Assembly was concerned about consumer protections. Our plan is to amend the legislation to include these protections and to have our champions reintroduce it in both houses when the new session begins in January. But now there is a threat to reverse mortgage availability for condominiums. HUD issued a ruling in May stating that it will no longer provide HECMs (its own reverse mortgages) to seniors in condominiums in certain states. While New York is not one of the states in question, FNYHC is nevertheless submitting strong comments in opposition to this curtailment of availability of reverse mortgages. FNYHC will continue to keep members updated on developments. Legislation that would allow Reverse Mortgages for seniors 70 and over who make their homes in cooperatives has passed the New York State Senate and has been introduced in the Assembly. If passed this would open the door for lenders not interested in FHA to begin to make reverse mortgage loans in NY State (despite 16 years of efforts by CNYC and the National Association of Housing Cooperatives, HUD has no intention of making reverse mortgage loans to cooperatives nor to write guidelines for reverse mortgage loans). The Albany legislative session ends on June 17th, so we ask your support to help ensure that the Assembly bill is passed before then. It is bill # A.10246 sponsored by Jeff Dinowitz from Riverdale. Please write to ask your own Assembly member to support it and write also to Keith Wright, chairman of the Housing Committee, which now has the bill. Assembly member Wright can be reached at wrightk@assembly.state.ny.us and you can find your own representative at nyassembly.gov/mem. Ask that they see to it that A.10246 passes this session. Briefly tell them what it will mean to you (and to the seniors in your building) as constituents. Reverse mortgages enable senior to live on in the homes and the neighborhoods that have been theirs for many years. 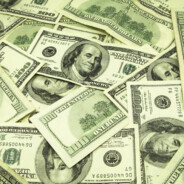 Owners of private homes and condominiums can already access reverse mortgages. We seek to make these loans available to seniors in cooperatives where the additional scrutiny of any loan by the board would help ensure that the loans are reasonable and affordable. 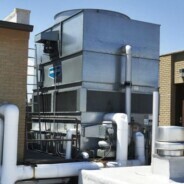 The NYC Department of Buildings has asked CNYC to make its members aware that building owners and operators now have the opportunity to voluntarily register their cooling towers and evaporative condensers with the Department of Buildings. 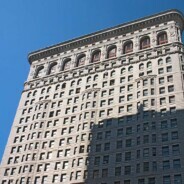 Online access to the registration form and additional information can be found at www.nyc.gov/buildings. This voluntary registration is in anticipation of legislation that with the City Council’s support, will establish regulations to be administered by the Department of Buildings and the Department of Mental Health & Hygiene for the regulation of cooling towers and evaporative condensers. On August 6, 2015 the Commissioner of the New York City Department of Health issued an Order with respect to the outbreak of Legionnaire’s Disease in the Bronx. The Order will be mailed to each property that the City of New York has identified as having a cooling tower. More information can be found on the City’s Department of Health website. On Thursday, June 25, 2015, the State Senate and Assembly and Governor Cuomo came to agreements on rent regulation and the 421a incentive program for developers. With these issues finally settled, a four year extension of the property tax abatement program for home owners in New York City cooperatives and condominiums was included in the legislation passed by both houses that evening. Thanks to the Department of Finance, this extender is seamless, because it was included on our property tax bills for the new fiscal year which begins on July 1st , saving condominium unit owners and cooperative corporations from confusion and cash flow problems. On Friday morning, June 26, 2015 Governor Cuomo signed this legislation into law, continuing the abatement program in its present form through June 30, 2019. Update and print one or multiple Property Registration forms at once. Check on the status of your registration and registration history at any time. Even if there is NO UPDATE to the information please submit the form electronically so that we know not to send you a form through the mail.IMPORTANT NOTE: The forms should be printed on LEGAL SIZE paper. If you do not have legal size paper, you must modify your printer settings to ensure that the form will fit on 8 ½ X 11 paper. Be sure that all fields – including Section 10 – and barcodes are visible on the printed forms! After you print the form, BOTH the OWNER and the MANAGING AGENT MUST SIGN AND DATE THE FORM. Photocopied signatures are not valid. Please mail the completed form to The Department of Housing Preservation and Development, Church Street Station, P O Box 3888, New York, NY 10038-3888. Once your registration becomes valid you will receive a receipt of valid registration by mail and an e-mail from HPD (if you provide an e-mail address on your registration) advising that your receipt is available throughPROS. A VIOLATION MAY BE ISSUED TO YOUR PROPERTY. HPD MAY CHOOSE TO SEEK CIVIL PENALTIES IN HOUSING COURT BASED ON THIS VIOLATION. IF THE PROPERTY HAS 3 OR MORE UNITS, YOU WILL NOT BE ALLOWED TO BRING AN ACTION FOR NONPAYMENT IN HOUSING COURT AGAINST A TENANT OF THIS PROPERTY UNTIL YOU ARE VALIDLY REGISTERD. YOU WILL NOT BE ABLE TO CERTIFY THE CORRECTION OF VIOLATIONS OR REQUEST A DISMISSAL REQUEST INSPECTION FOR PENDING VIOLATIONS. If you believe that your property is not required to be registered or if you no longer own the property and do not wish to be contacted about this property in the future, please review the Property Registration Page on our website for the appropriate next steps. If you need help completing the form or are experiencing any issues with PROS, you can e-mail HPD at register@hpd.nyc.gov or call HPD’s Registration Assistance Unit at (212) 863-7000, Monday through Friday between 9 AM and 4:30 PM. 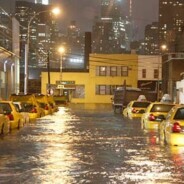 In recent years, the New York City area has been increasingly affected by severe storms. The multi-day loss of power and extreme flooding from Superstorm Sandy exceeded most emergency scenarios and as a result, few buildings or residents had plans for managing the emergency conditions before, during or after the storm. Many buildings suffered damage that could have been prevented, or from which they could have recovered more quickly, with the benefit of advance planning. In response, amendments to the Administrative Code of the City of New York were enacted to help the City better prepare for future storms. This memorandum highlights the important aspects of the new laws and suggests ways your building can prepare for upcoming storms. The new laws became effective on May 18, 2014. They amend the Administrative Code of the City of New York to add Sections §30-113 and §27 -2051.1 creating a two-pronged approach to emergency planning by requiring: (1) the creation of emergency preparedness recommendations for residential and commercial building owners, and (2) the posting of emergency information in ceratin residential buildings. Click to download the complete Emergency Preparedness Recommendations for Residential Buildings Memorandum, prepared and provided by Schechter & Brucker, P.C. 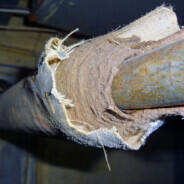 § 28-316.1 Required insulation of certain concealed piping exposed during alteration or repair. Where concealed existing piping is exposed in the course of the alteration or repair of a building, the owner of the building shall provide for the insulation of the exposed piping. The exposed piping shall be insulated to the extent required by the New York city energy conservation code for newly installed pipe of the same specifications and serving the same function as the exposed pipe. The entire exposed length of the piping shall be insulated as well as any further length of concealed pipe that can be directly accessed through openings made in the course of such alteration or repair. 1. Exposed pipe with one-inch (25-mm) thick continuous coverage of existing insulation in good condition. 2. Where the length of concealed pipe which may be directly accessed through openings made in the course of such alteration or repair is less than three feet (914 mm). 3. Where there is not sufficient space to insulate pipes to the extent required by the New York city energy conservation code due to conflicts with existing construction, pipes shall be insulated to the extent that space allows. §2. This local law shall take effect October 1, 2014, except that this local law shall not apply to construction work related to applications for construction document approval filed prior to such effective date, and except that the commissioner of buildings may take such measures as are necessary for its implementation, including the promulgation of rules, prior to such effective date. The Realty Advisory Board has tentatively reached an agreement with SEIU Local 32BJ for a renewal of the residential building workers contract that is set to expire on April 20, 2014. The deal covers more than 30,000 residential building service employees, including doormen, porters, handymen and building superintendents, who work in more than 3,000 residential rentals, co-ops and condos. The tentative agreement is subject to ratification by the Board of Directors of the Realty Advisory Board and the membership of the Union, processes that will occur over the next few weeks. 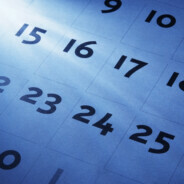 The tentative agreement was reached an unprecedented nine days before it was set to expire on April 20. That is great news for owners and managers, not to mention all the New Yorkers who reside in our buildings. Today’s announcement is the result of months of planning and several weeks of meetings between RAB and the Union. Our negotiating committee spent long hours working through extremely difficult issues. Though we have a very positive working relationship with the Union, we didn’t start on the same page. We believe the final result, after much back and forth, is a fair and equitable contract that reflects today’s economic realities while protecting the long-term health of our industry. An average wage increase of 2.71% each year over the four year contract, or approximately 11.3% total—bringing wages for a typical doormen or porter from $44,389 to $49,402 in 2018. There is a 3.4% total average annual increase for wages plus benefits. To help offset these costs, our negotiating committee was able to deliver a modified start rate for new employees and several other key measures to enhance employer flexibility. CNYC Executive Director Mary Ann Rothman and FNYHC Executive Director Greg Carlson serve on the negotiating committee. We will provide any updates as they are announced. The contract between owners and operators of residential apartment buildings in New York City and Local 32BJ of the Service Employees International Union will expire on April 20, 2014. With the potential for a strike of Local 32BJ after that day (if a new contract is not renegotiated), Boards need to take action now to ensure that they are prepared to meet the challenges that a work stoppage will bring. In this memorandum, we discuss specific suggestions that will help your building meet the needs of its residents in the event of a strike.